The Cultural Narrative is about how we reflect our distinct place and space at the University of Canterbury Te Whare Wānanga o Waitaha in Ōtautahi Christchurch, and we now have a video> that underpins that narrative, and depicts the different ways we are doing that in our environment. Over time, the narrative has evolved to be more than just about our environment, and this video is a tool that could also be about where we are and how we teach – whether it be in engineering, student services, in geography, or liberal arts. Our environs, our buildings, our flora, our fauna, our naming and our signage are all parts that help create our distinctiveness, and how do we do that in a way that reflects both the ideology of the University and also the mana of the Tūāhuriri, the people of this land, Ngāi Tahu of the south, and Māori as part of a global community. The Cultural Narrative is about the University. It is owned by the Senior Management Team, reflecting the leadership of the University, and is led by the UC Council who want to be seen as an institute that reflects this community. That leadership is partnered with Colleges, with service divisions and ultimately, the staff and students of UC. This video encapsulates and embodies some of the aspirations of the University in this space. It is to be a useful and functional tool, for all of us, in terms of how we approach our understanding around this narrative and its application at the University. The endeavours behind it are about creating physical and emotional markers that provide our graduates with a connection to place, and a connection to UC’s aspiration for their bi-cultural competence and confidence. Thank you for sharing with us and we look forward to your continued engagement as the story unfolds. This is where we are now, a long way from where we have come, and a long way from where we will be in five years. This year, UC will celebrate Te Wiki o te Reo Māori – Māori Language Week over two weeks, from 4 to 15 Hōngongoi – July. The theme is ‘Ākina te Reo’ – behind you all the way, which is about using te reo Māori to support people, to inspire and to cheer on. Te Wiki o te Reo Māori is an opportunity to embrace te reo and build your bicultural competence and confidence. A range of activities will be happening across campus over the next two weeks. View the full Te Wiki programme here. Pick up a Free UC Te Reo resource pack. These are available for all staff and students to collect from Monday 4 July. Visit the Māori Development Team Reception, Level Two, Te Ao Mārama building, Arts Road. Find out what’s happening on campus and attend Te Wiki o te Reo Māori events. Check out the new online LEARN page that provides te reo resources and support. Listen to the new sound files on the Ngā Ingoa Māori i Te Whare Wānanga o Waitaha webpage. Here you can learn key role and unit names at UC, and how to pronounce them in te reo Māori. 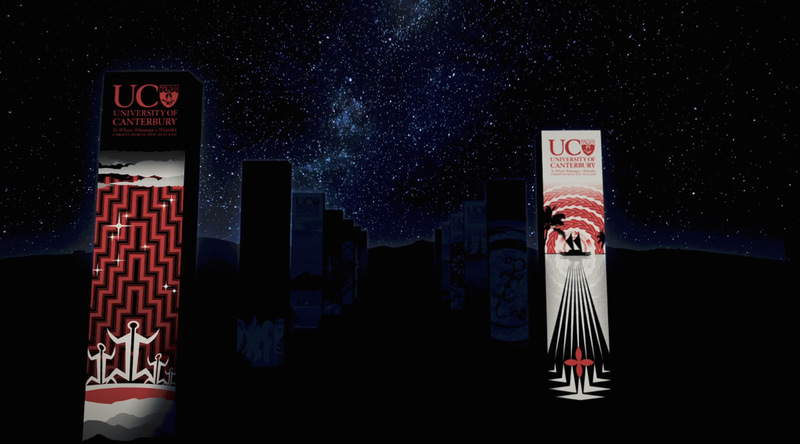 Keep an eye on UC’s Facebook and Twitter for words and phrases. Beyond Te Wiki there are many opportunities to further your Māori AVCM5639_Te_Wiki_PROlanguage and culture knowledge at UC, including Tangata Tū, Tangata Ora and Te Reo Māori for the Workplace. Start this week and use the words you learn in everyday conversation on an ongoing basis. Kia kaha e hoa mā!